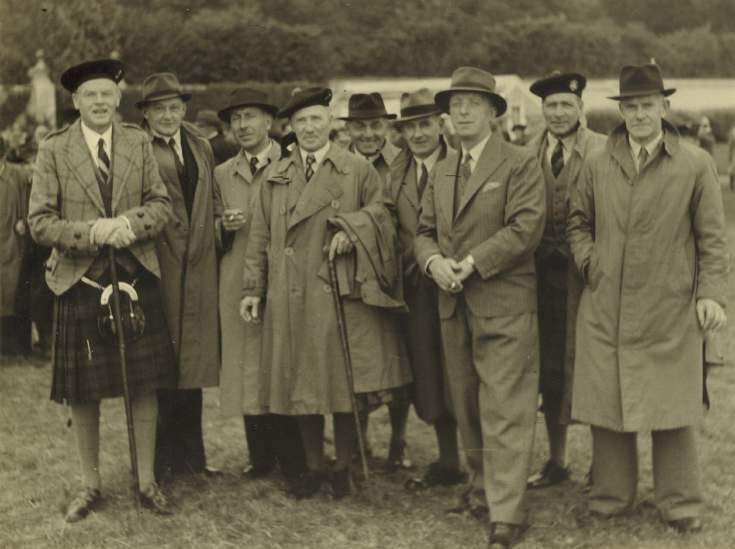 Dornoch Historylinks Image Library - Photograph of group at Sutherland Show possibly at Dunrobin. Photograph of group at Sutherland Show possibly at Dunrobin. Photograph of group, possibly at Sutherland Show, mounted on thin card, Duke of Sutherland on left, Ted Brannen 3d left, Capt. Bob Grant 3d right, possibly at Dunrobin.